1. Meet local farmers so I can buy my fiber from Washington. 2. Purchase at least one awesome fleece. 3. 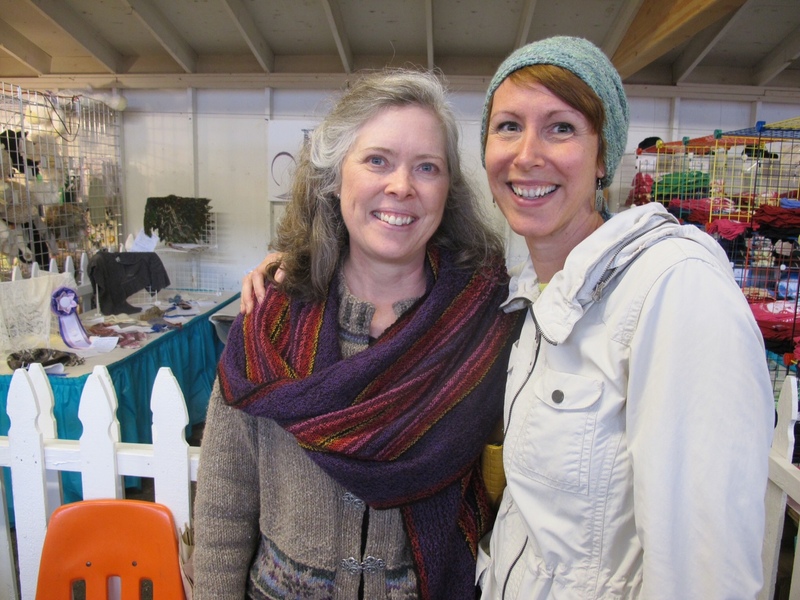 Stock up on goodies from local fiber artists. I had such a great time! I’ve read a little bit about fiber shows, so I timed it to get there about 15 minutes after it opened. I don’t have enough experience with this to know what I want and grab it, and that sounds pretty stressful. Waiting was risky but more pleasant. 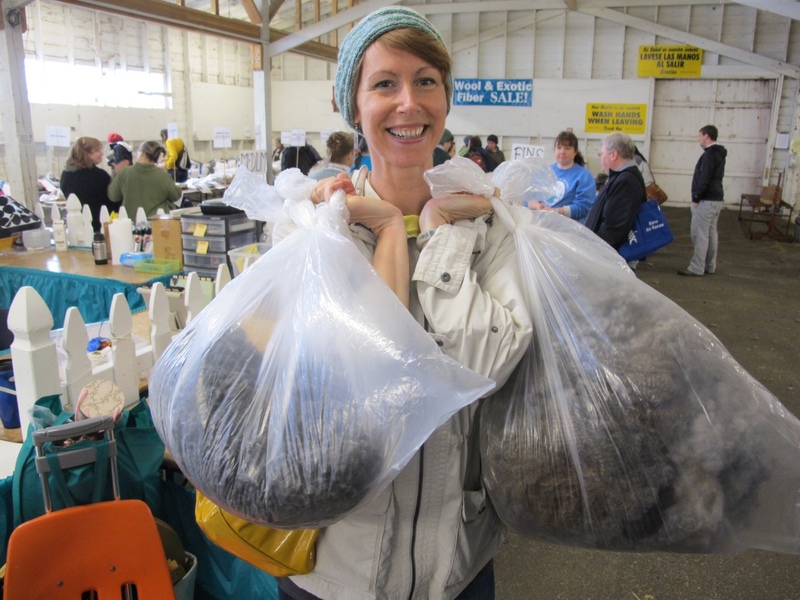 By the time I got there about 2/3rds of the fleeces were gone, but I still managed to snag two blue ribbon fleeces!! 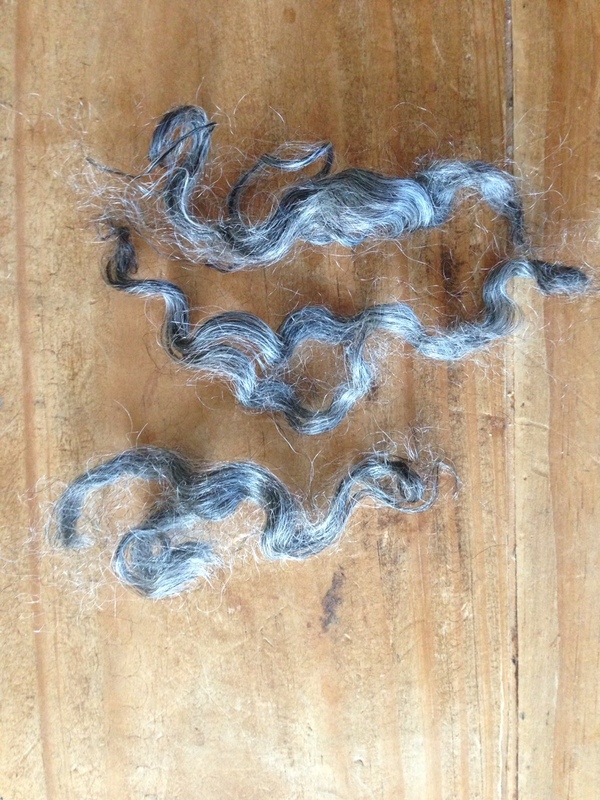 One was a beautiful grey, brown romney/dorset and the other an amazing bag of locks from a Gotland lamb. Both were about 4.5 lbs. Really truly amazing to have the chance to look around and buy like that. I loved it. And, truly dorky but awesome moment: Sarah Anderson, from my favorite spinning book The Spinner’s Book of Yarn Designs was there. I had the chance to tell her how much I appreciated her book and take a dorky fan picture. She’s really, really nice and I was so impressed with how she was talking with people who stopped by her table. Wow. From jazz hands that never should have happened to a fan pic. You just never know how a day is going to unfold, huh? This entry was posted in Fleece Processing, Spinning and tagged fiber festival, knitting, Spinning, wool by Leah. Bookmark the permalink. Awesome! Looks like u had a blast! 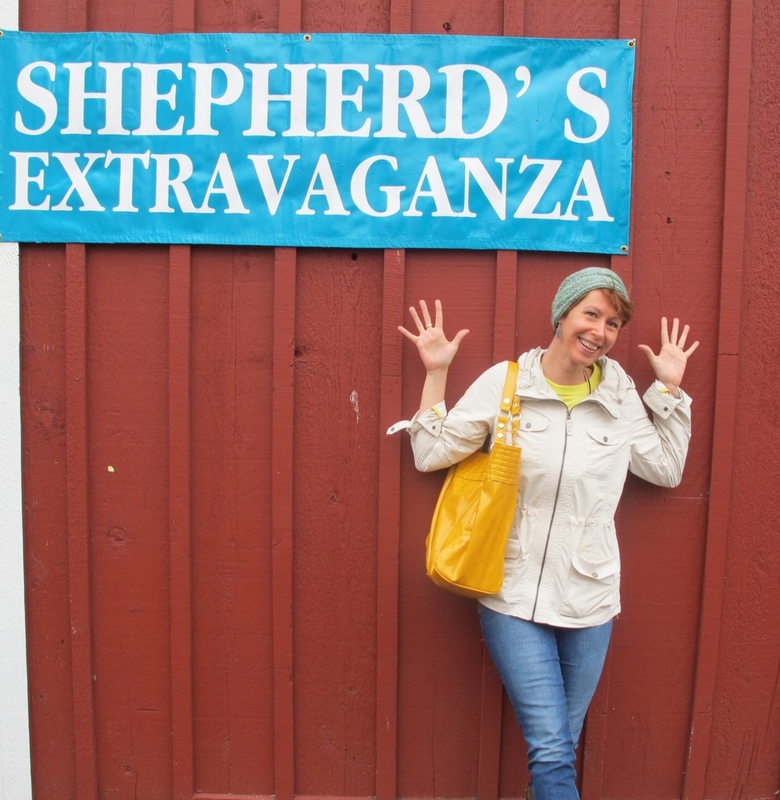 I’ve never attended a fiber festival but I hope to one of these days. Wow I can only imagine!!!! I wish we had stuff like that happening here. Btw I just got that book in the mail today – can’t wait to check it out! Oh my gosh..it’s awesome. Her explanations are just technical enough. The cards in the back are a great touch! !